This part of the IRSCL website features reviews written by our members. We focus on books (monographs and edited collections) published by our members, with the aim of showcasing the range of books available in members' countries, and the scholarly approaches used in different countries. 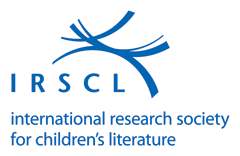 We aim to provide reviews which will constitute a reliable source of information for colleagues' professional needs, and which supplement reviews in the IRSCL journal, International Research in Children's Literature. other academic books not reviewed in IRCL. We will monitor publishers' catalogues to ensure that we identify books for review. However, if any colleagues wish to recommend individual books for review, we would be very grateful to receive publication details. We need members' expertise to provide appropriate reviews. If you are willing to be a regular reviewer, please contact the reviews editor and provide details of your name, professional affiliation, contact details, including full postal address to expedite the circulation of the review copies and areas of special interest/expertise. 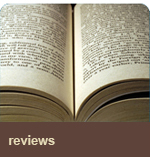 Reviews should be not more than 1,000 words with (as appropriate) a 200-300 word English language summary. They should comply with the MLA Style (as used in Children's Literature Association Quarterly, for example). The Reviews Editor will provide reviewers with a deadline by which they should submit their reviews. Normally reviewers will have a month in which to complete reviews. Reviews must include bibliographical details, including ISBN and page numbers, at the start of the review, and the name of the reviewer and the institution to which they are attached at the conclusion of the review. Online reviews are proofread by Dr. Hazel Sheeky.